Tis the season to be grateful! 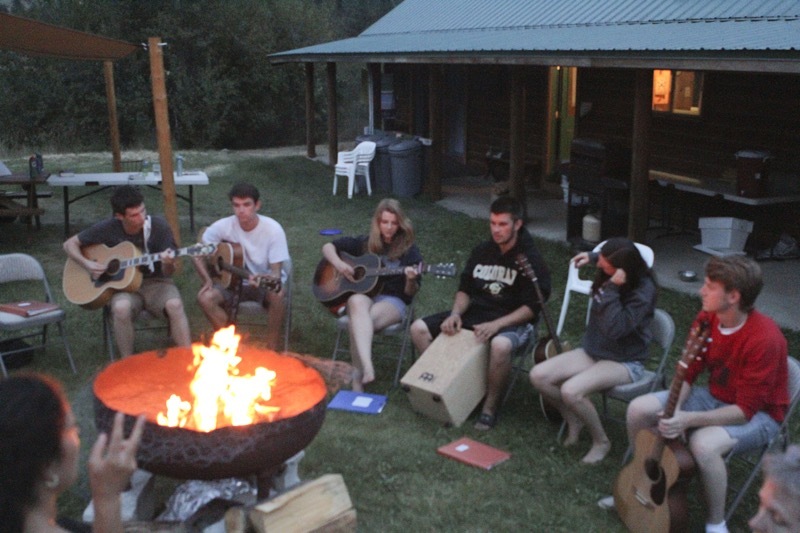 On that note (pun intended), I would like to take this opportunity to give thanks for the Black Forrest Guitar Camp that has come to Skalitude the past two years. This is an amazing group of high school students – I hesitate to use the word ‘kids’ as their maturity and poise frankly blows me away. I wish I had half of their confidence when I was their age, or even now for that matter! Guitar practice on the roof of the bermhouse! I am so grateful to have experienced this fine group of people, to know that kids and programs like this exist in this crazy mixed-up world! This entry was posted in Uncategorized on December 3, 2014 by skalitude. Learn about events, special offers and discounts! "Once again, we had such a wonderful time at Skalitude! It's hard to describe how much at peace I felt there. The beauty of the place is soul-soothing, and my daily walks around the meadow were truly therapeutic." "...Holding our ceremony in the meadow under an endless blue sky, dining in open air under the sky lodge, and dancing the night away under the milky way – it was truly the most magical place to celebrate our union...."
"My husband and I recently got married at Skalitude, and everything about our event was simply perfect...."